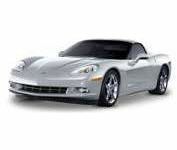 Reviews say the 2005 Chevrolet Corvette is easily the best sports car. The new 'Vette has more power, better looks and better handling than any previous incarnation of the Corvette, and it's the easy winner in nearly every review we've found when compared to competing models such as the Porsche 911 Carrera S (below). Its performance is on par with sports cars costing nearly three times as much, making it an ideal choice for those who thrive on the open roads but also like to have money left to spend on other things. Experts such as Car and Driver say the Corvette is "just flat unbeatable in this price class." 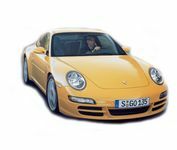 In most major reviews, the Porsche 911 Carrera S finishes behind the Corvette, due mainly to its $30,000 price premium. The crème de la crème to most auto enthusiasts, the 911 Carrera, along with its younger sibling the Boxster, underwent a major overhaul for the 2005 model year in an effort to return the 911 back to its performance roots. While the last generation 911 was considered the best ever, purists complained about bland styling and questionable performance. The new Porsche 911 is faster and louder and has a design that pays tribute to its long heritage. It may not come out on top in most magazines' Best lists, but that's only because of its super-premium price tag. The Nissan 350Z got a new lease on life in 2002, This year's 350Z continues to impress reviewers and drivers alike. It is especially appealing to those who want high-performance at a less heart-stopping price. The 2005 lineup of this aggressive-looking, fun-to-drive import encompasses nine models, including three roadsters and an Enthusiast package. Reviewers love the performance, handling and comfort of the 350Z, even if it can't compare to the Corvette or Porsche 911. 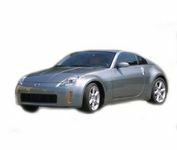 "Simply put, the 350Z is a sweet machine," writes Jim Flammang of Cars.com. A long-time favorite of sports-car enthusiasts, the BMW M3 scores well with reviewers. With 333 horsepower and a stunning design, this performance coupe and convertible delivers superb quality inside and out. Critics say the M3 can comfortably seat four (for the convertible) or five (for the coupe). 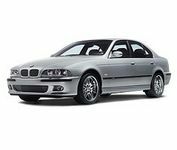 The M3 also enjoys one of the highest resale values in its class.